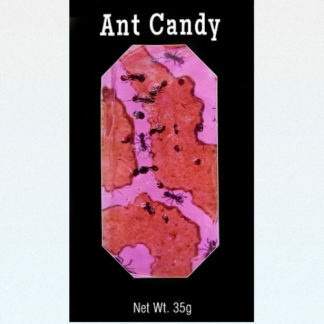 Real ants encased in hard candy. Offered in two flavors: cherry or apple. Net wt. 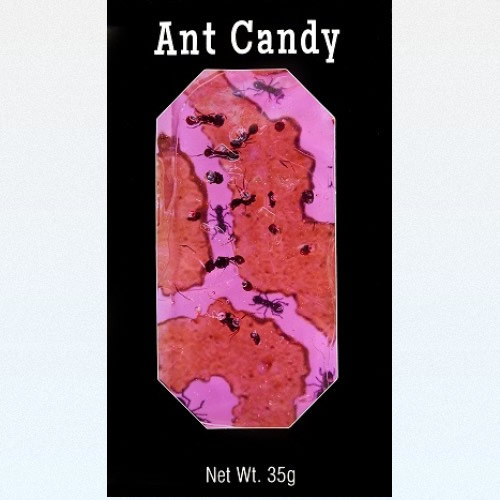 1.24oz (35g).